Ipswich is well known for sweltering summer days, so it was surprising to find a winter wonderland tucked away here this Christmas. 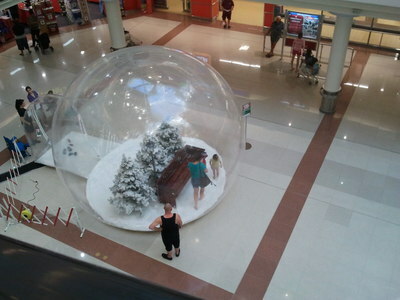 Visitors to Redbank Plaza can experience a unique festive activity by stepping inside their giant snow globe for some white Christmas fun. The life-sized snow globe will be open every day until December 24th from 10am to 3pm, with extended hours to 8pm on Thursday nights. It is located on the ground floor outside Aldi supermarket and is pretty hard to miss. For your chance to win one of 20 $100 gift cards, simply take a photo of yourself in the snow globe and upload the image to the Redbank Plaza Facebook page. Don't make the same mistake we did though – photos taken too close to the snow globe may appear blurry through the thick plastic of the dome. The snow globe is one of those magical Christmas icons so the chance to be a part of one is something truly special. Plenty of people were using this as an opportunity to create Christmas portraits that would otherwise be impossible to replicate in Brisbane's summer weather. 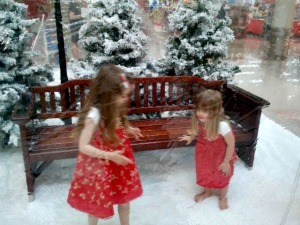 Kids were using the snow globe to play pretend by making snow angels and generally skipping happily around the set. 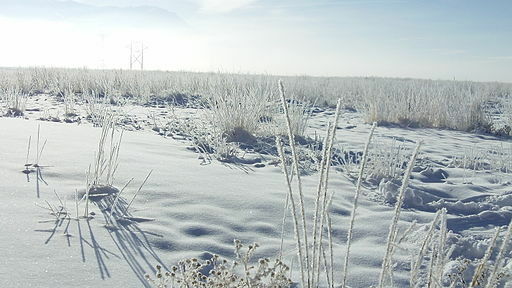 It probably won't be a suitable replacement white Christmas for those people who have been yearning for one, but the illusion of a wintry Christmas was enough to delight our family. While you won't need snow boots, gloves or even a beanie to enter the snow globe, you will need merry smiles, a bit of co-ordination to navigate the fake snow, and of course some wintry Christmas imagination. Why? Ever dreamt of having a white Christmas? 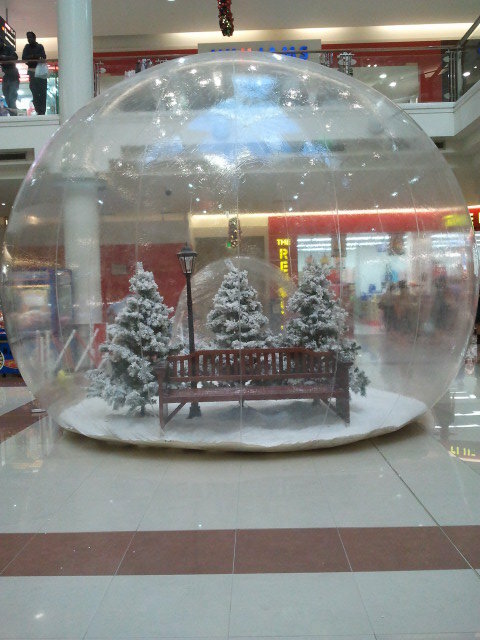 Wow, the giant snow globe looks amazing. I have never seen anything like it.